For the next couple of days the North Sea trawler Amity II will be docked at St Katherines Pier (just in front of Tower Bridge). A unique opportuinty to go on board a real working trawler without getting seasick or having to do the difficult job of fishing. 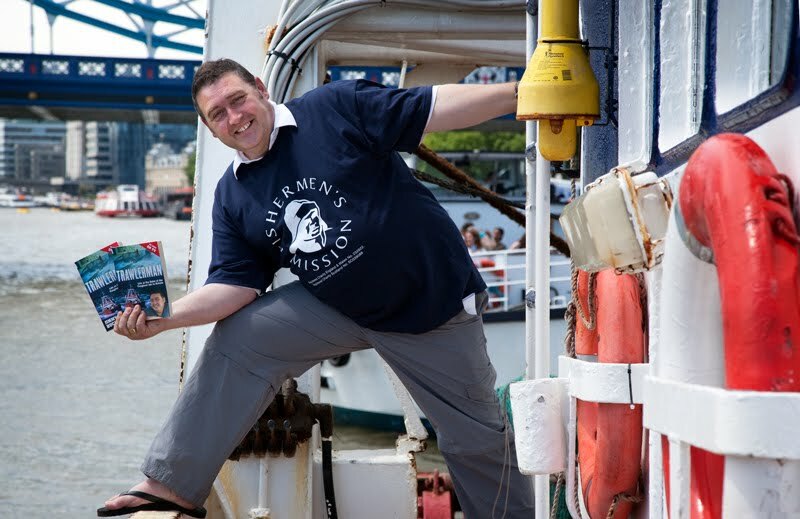 Jimmy Buchan, star of the TV series Trawlerman, has sailed his North Sea Trawler, Amity II, down to London after setting off from Peterhead, Scotland, on Sunday night. 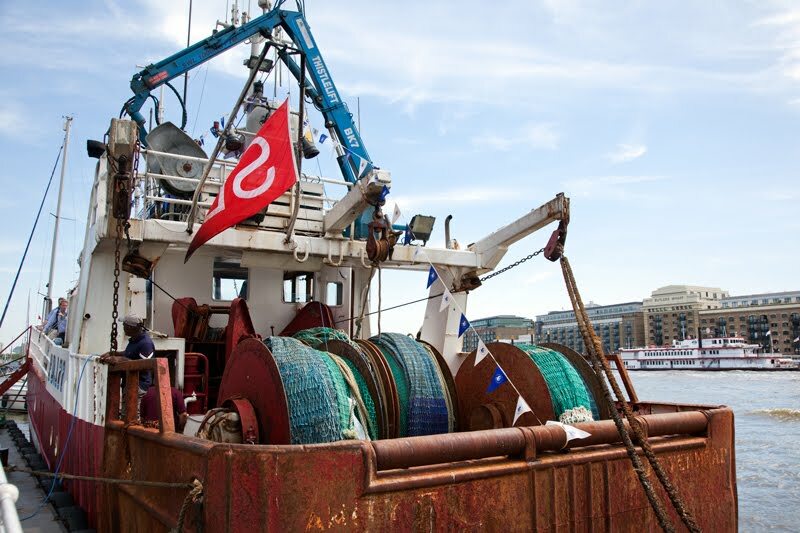 Amity II will be moored at St Katharine’s Pier, by Tower Bridge, and will be open to the public from Thursday 2nd June – Saturday 4th June inclusive. Get down there, go on board, meet Jimmy. Join them for a BBQ of langoustines on Friday. He looks like a happy chap. I hope he gets lots of visitors and a huge boost to his fund. What fun. I will look out for his book. The South African fishing industry has also got a long and interesting social history. I am quite sorry to miss this one, thanks for these nice pictures. If he has been a trawlerman for 30 years, he must have started in the watery womb! He scrubs up remarkably well. Hope Amity II gets enough visitors. Hello from Perth Mo, happy to have found your blog with such fantastic photos from London. I was there last year and loved it, looking forward to more! Pity I missed this, he could have dropped me off in Aberdeen on his way back home to Peterhead. I think it would have been such fun to have had a wee jaunt in the boat. Its time to celebrate.Keep it up.